More outdated candies from my food stash! 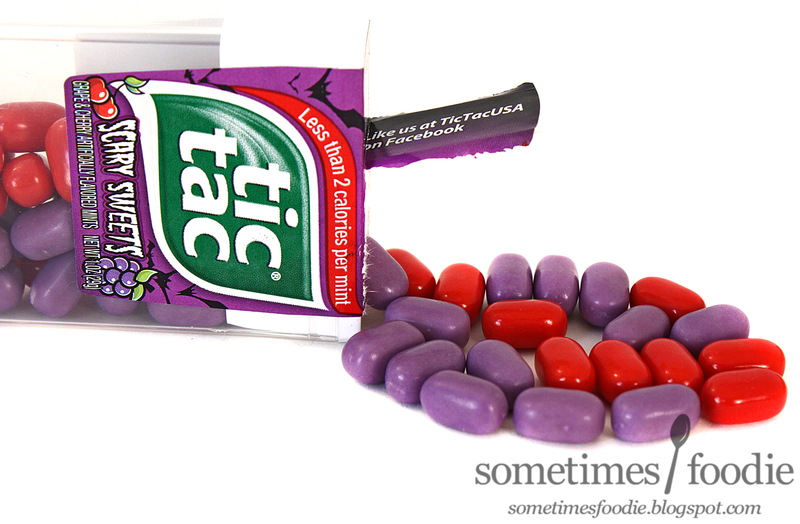 This pack of Tic-Tacs was given to me as a gift way back in October, and I just never got around to reviewing them. I recently found them hiding out in one of my purses, so why not review them? This mix contains two flavors. 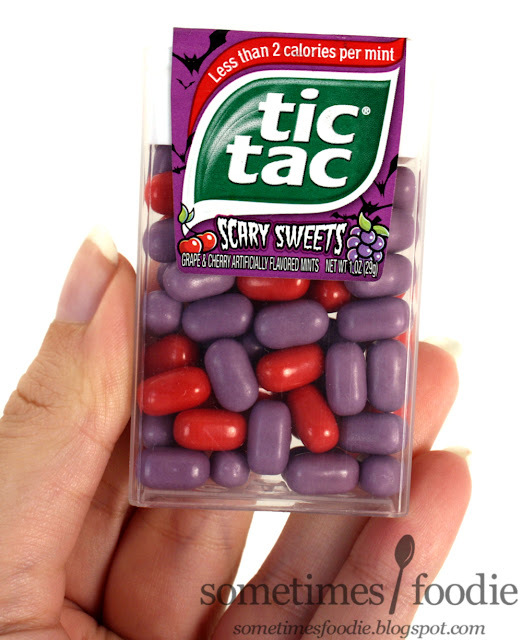 Purple (Grape): Grape has never been my favorite candy flavor, because it always reminds me of children's cough medicine, but this one isn't half bad. It's very mild, and almost not grape-y at all. It's not a flavor I would ever buy on it's own, but it's not bad in a mix with something more palatable. Red (Cherry): Sweet, a little tangy, and fairly generic. It's no different from the cherry flavor from the Summer Pop mix I reviewed before. It's okay, but nothing spectacular, and this flavor comes in a lot of other mixes. This mix was so lack luster. 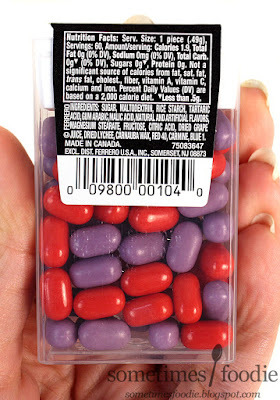 Grape and cherry are flavors you can easily find in other mixes, and neither flavor is something I would want to buy an entire package of on it's own. Plus, what do these flavors have to do with Halloween or spooky stuff anyway? This just seems like a quickly slapped together product to cash in on the Halloween season. 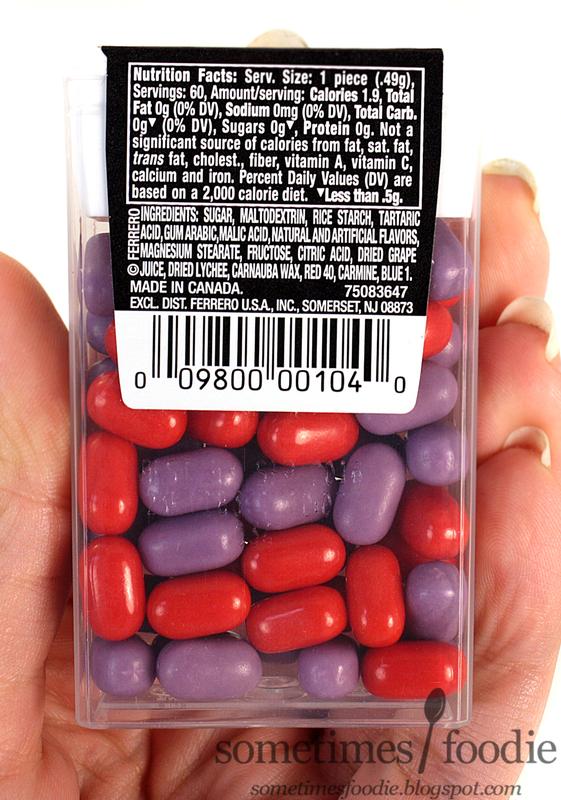 Unless you're super into generic cherry flavoring and super mild grape candy, there's no reason to buy this mix.